There are a total of six tutorials in this learning series. Throughout the series you will work through content and activities both in the tutorials and in a companion workbook that you will download and save. The series starts with this Overview tutorial and then moves through the areas of the Negotiation Journey. How Does VDN Align With the Client Engagement Model? You will be familiar with our Client Engagement Model shown here. Working with your Client consistently across all the CE pillars will help you to be more successful in your negotiations. 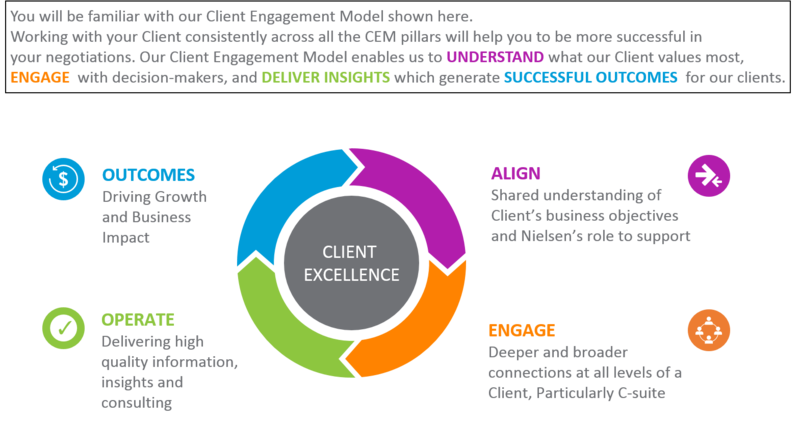 Our Client Engagement Model enables us to UNDERSTAND what our Client values most, ENGAGE with decision-makers, and DELIVER INSIGHTS which generate SUCCESSFUL OUTCOMES for our clients. By operating with Clients in a way that delivers outcomes, we build a strong foundation for mutually beneficial sales and negotiations. Everything you do as a Nielsen negotiator has impact. The better your selling* skills, the less you will need to negotiate*. *Selling - Selling is identifying your Client's needs and then aligning your solution to those needs. *Negotiate - Negotiation is the process of bargaining to reach a final agreement that is mutually acceptable to both parties. 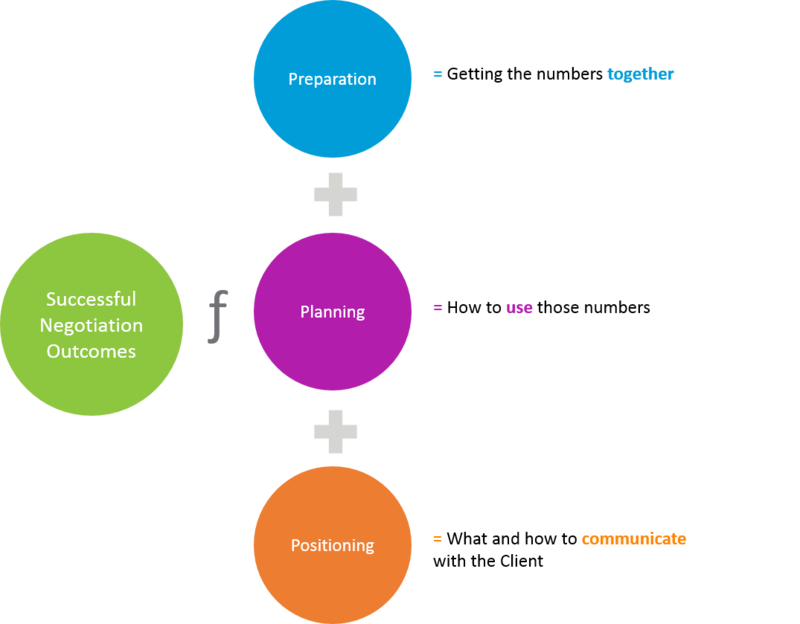 This is the model you will follow to achieve better negotiation outcomes with your Clients. You start with Discover and Prove Value at the center. It is at the center because you will apply this principle to all stages of the Value Driven Negotiation model. It is very important to be able to show and explain your understanding of what the Client needs, what they value and how that value may be met by Nielsen solutions. Click on each stage on the map to learn more. 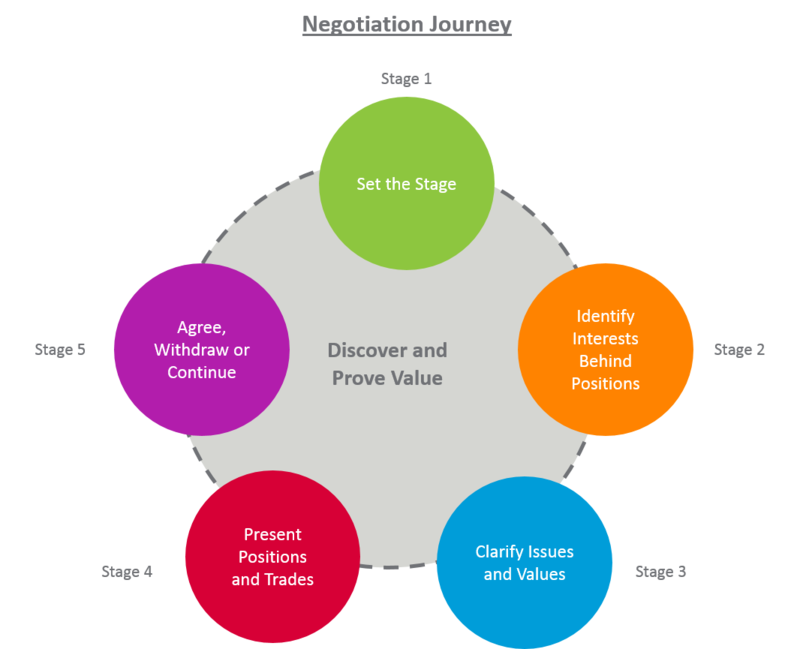 Since the stages of the value-driven negotiating journey are a cycle, if questions or issues come up in one stage, you may need to take a step back to a previous stage in order to find a solution. For example, if you find a Client has specific values around a particular issue during Stage 3 – Clarify Issues and Values – you may need to take a step back to Stage 2 and identify their interests behind that value position. 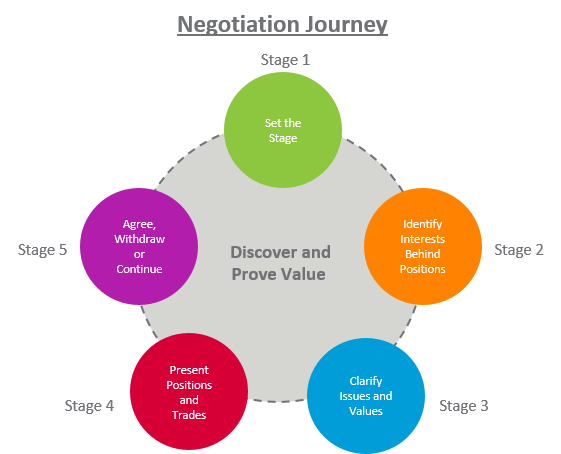 Or you may find in Stage 5 – Agree, Withdraw or Continue, that you decide to withdraw and revisit negotiations later. In this case, when you reopen negotiations you may need to revisit Stages 2 and 3 again before proceeding further. How does being focused on value help improve your negotiations? The foundation of successful negotiating is to TRADE whenever possible and to CONCEDE deliberately by identifying those things that are of more VALUE to your Client than to you, in exchange for those things that are more valuable to you and of less value to your Client. 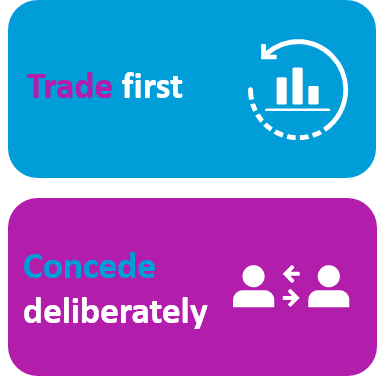 This is the basis for identifying where you can trade and reduce the likelihood of making unplanned concessions when under pressure. Why Should You Avoid Discounting? The Golden Rule = Sell Value First, Negotiate Later! Click on each 'i' for more details. As we go through all the Negotiation Stages, we are setting ourselves up for success through effective Preparation, Planning and Positioning. Skilled negotiators invest time in all three best practice approaches and see the unique benefits of each. Through the rest of this series we will cover aspects of preparation, planning and positioning. 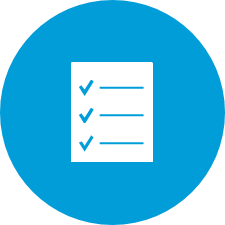 You must follow established Nielsen processes and work with your management to ensure that you are deploying them successfully. The next tutorial in this series will cover how to Discover and Prove Value. In this tutorial you will begin using the workbook companion to the series. Any activities in the workbook will display as seen below. When you see this image it means it is time to stop and do some work in the workbook. Click here to download the workbook and save to your local computer. You will use this workbook many times throughout the Value Driven Negotiation series. As you complete the exercises be sure to save your work on your local computer. 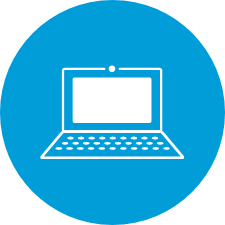 When you attend the one-day instructor-led course following this tutorial series, you will need to bring your personal electronic copy of your completed workbook with you to class. Thank you for participating in this training. 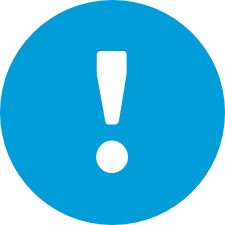 Your completion will be recorded in your learning plan and your manager will be notified.